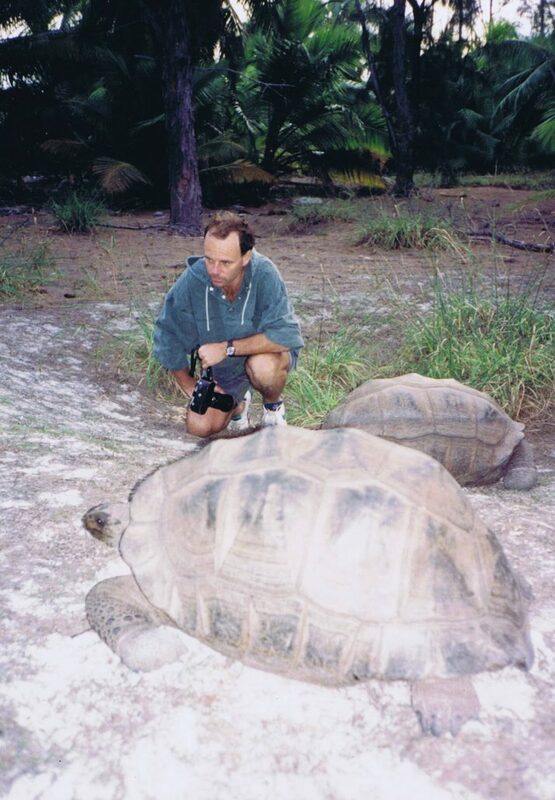 Way back in the early nineties Howard Rosenstein put together an expedition to Aldabra, the planet’s second largest coral atoll. Midway between Seychelles and Madagascar, access to Aldabra had been extremely restricted. In fact we were the first film makers to be allowed access since Jacques Cousteau filmed there in the 1950’s. 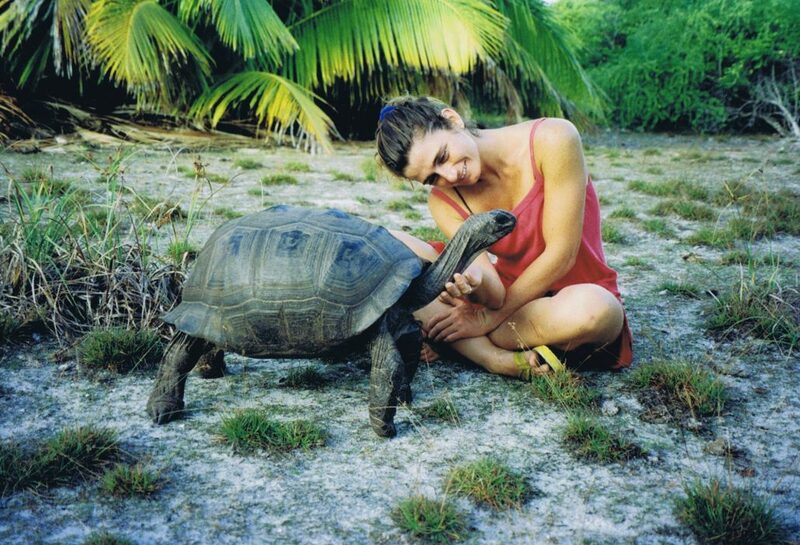 Aldabra is unique! Its population, apart from a handful of rangers, was around 150,000 giant tortoise! The whole trip was a total adventure, as we dived the outer walls of the lagoon, explored the mangroves of the inner lagoon which were a busy nursery of fish of the open ocean, and rode the currents that pumped twice daily into and out from the lagoon at a rate of knots. We were also incredibly fortunate to have David Doubilet on board – the expedition had been arranged by National Geographic Magazine for whom he was writing a feature on the atoll. David gave us the unique opportunity of joining him in a flight over the lagoon, allowing us to get awesome aerial footage for our film. 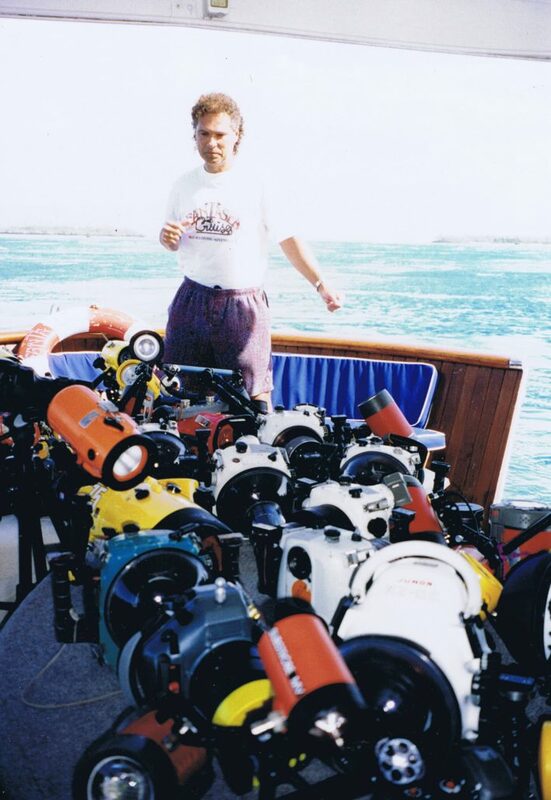 As you can see from the array of cameras on board, – Al Hornsby posing with them! – there were some serious photographers on board! Our film was released in 1994 and sold worldwide. Its 25 years since the trip. Great memories! From us all at Shark Bay Films!